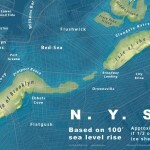 We know that rising sea levels are one of the scarier parts of global climate change. Just take a walk past the beachfront houses in the Rockaways or on Staten Island that have been raised on stilts. 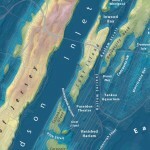 According to the Real Deal, “the US Geological Survey estimates that if all the world’s glaciers melted, sea level would rise by about 80 meters, or more than 260 feet.” Though this could take thousands of years, it would make unrecognizable many of the world’s coastal cities, including New York City. 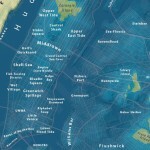 A stunning map series created by Jeffrey Linn, a Seattle resident with a background in geography and urban planning, visualizes major US cities in “this doomsday scenario” using actual geographic data. 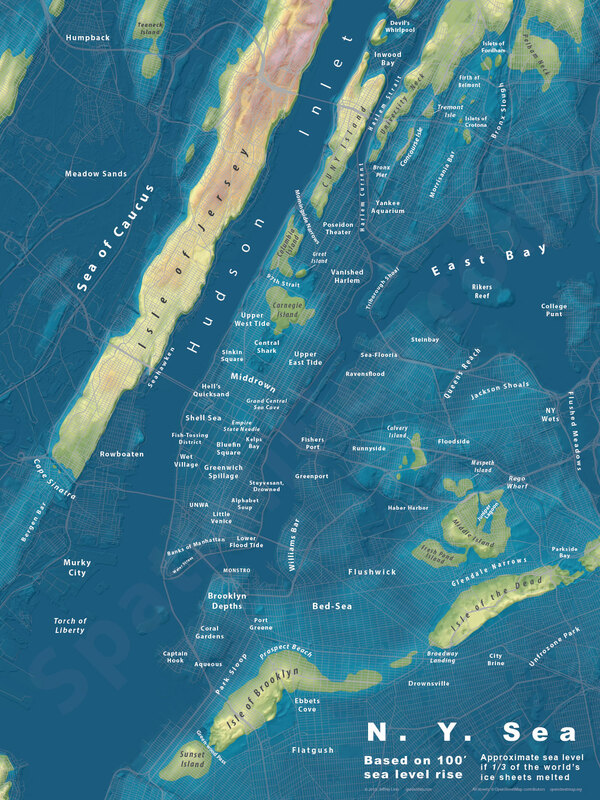 In New York City, after sea levels rose just 100 feet, the island of Manhattan is almost submerged; Brooklyn and Queens look like little archipelagos; and the Statue of Liberty is out to sea. 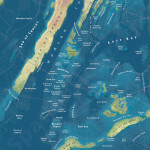 Linn was inspired to create the map series from the book Always Coming Home by Ursula K. Le Guin, a novel set in the future in northern California where society has been shaped by earthquakes, social upheaval, and floods from rising sea levels. 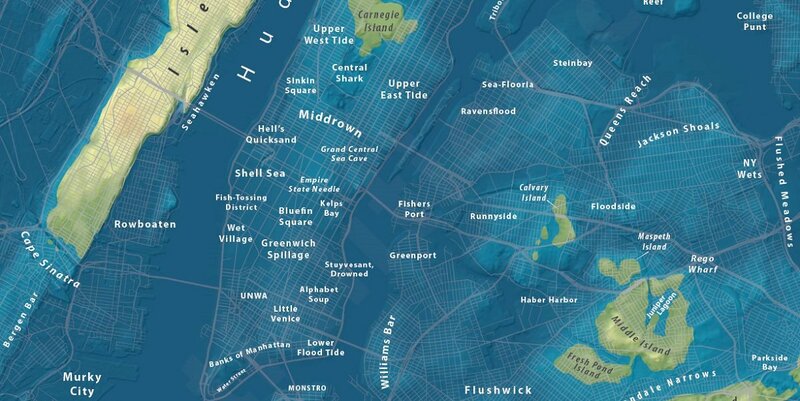 Infusing a bit of humor into his apocalyptic maps, Linn renames the potential new land forms with clever monikers like Coral Gardens (Carroll Gardens), Shell Sea (Chelsea), Alphabet Soup (Alphabet City), Floodside (Woodside), and Concourse Isle (the Grand Concourse). You can see more of Linn’s work here.